Such a busy week! 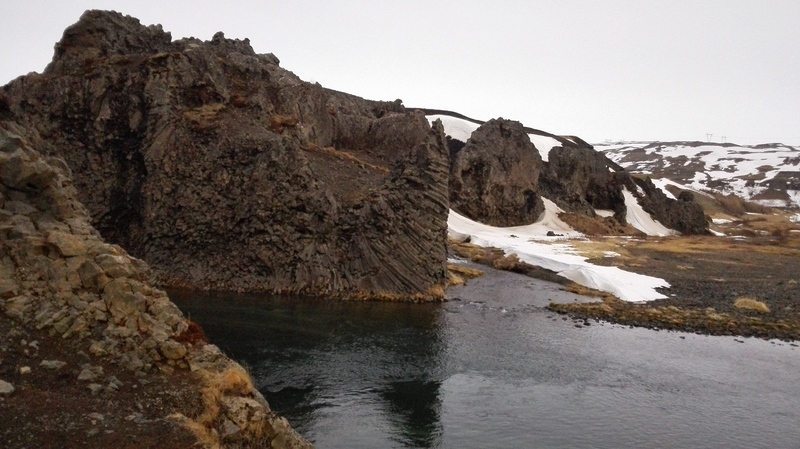 After going on the Snæfellsnes tour last Sunday (see “Magical Snæfellsnes”), I also went on a tour to Hekla Valley, where we would be exploring the surroundings of a volcano with the same name. This is an active volcano, though its last eruption was in February 2000. 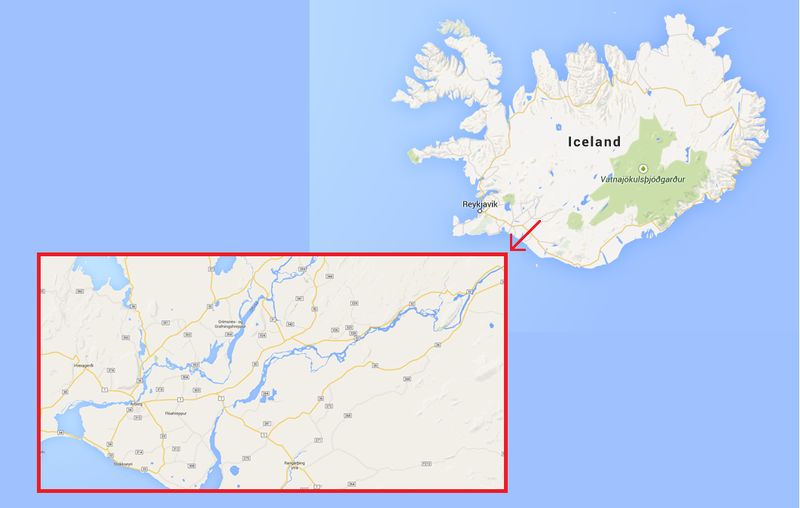 In the middle ages, Hekla was more commonly known as “The Gateway to Hell”. 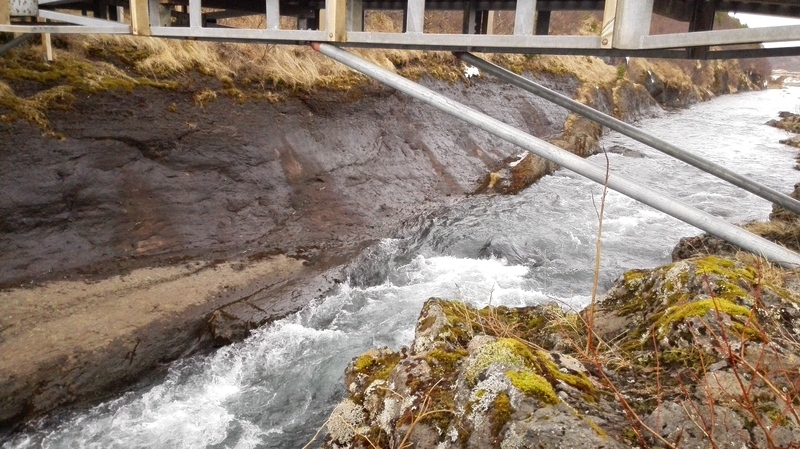 Today’s tour is slightly different than the usual Hekla Valley tour because the snow made some roads impassable. It was a small group for today’s tour. 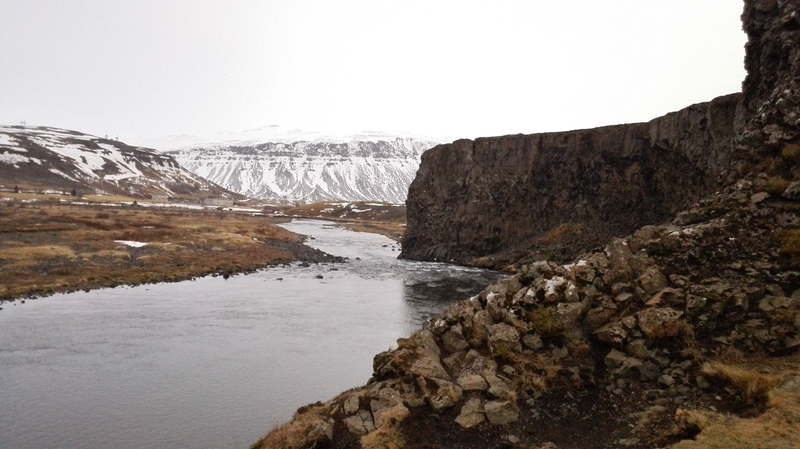 I was joined by a family of four, who had also been along on the Snæfellsnes tour on Sunday. Much like on Sunday, we were again guided by Gummi – the owner of the company. The sun shone brightly as we left Reykjavik behind. While Gummi tried his best to answer the group’s questions and told his stories, I enjoyed the surroundings of the city in the sunlight. We were soon driving through a lava field and Gummi told us about the caves that have been discovered in Iceland’s lava fields. We stopped at one of these caves, the Raufarholshellir, to have a look. Once there, we discovered that the entrance/exit was completely blocked by snow. 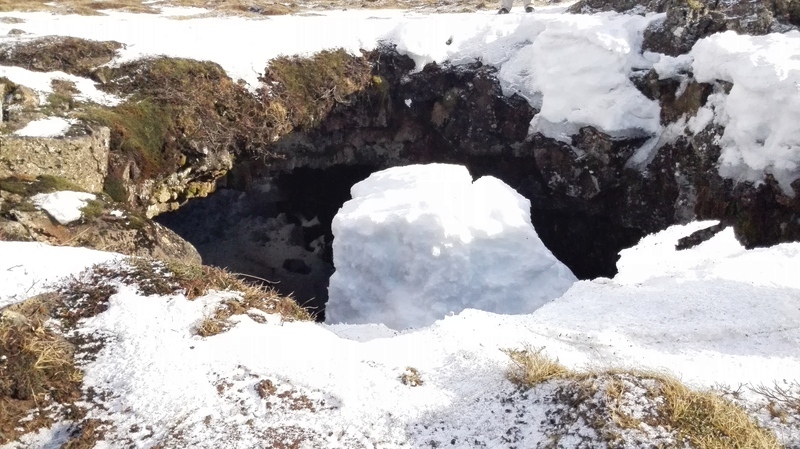 There were other holes in the ground to the cave, but Gummi said we couldn’t get in there without having to dig ourselves out through the snow. So all we could do was look into the cave from above, which was already quite spectacular in itself. 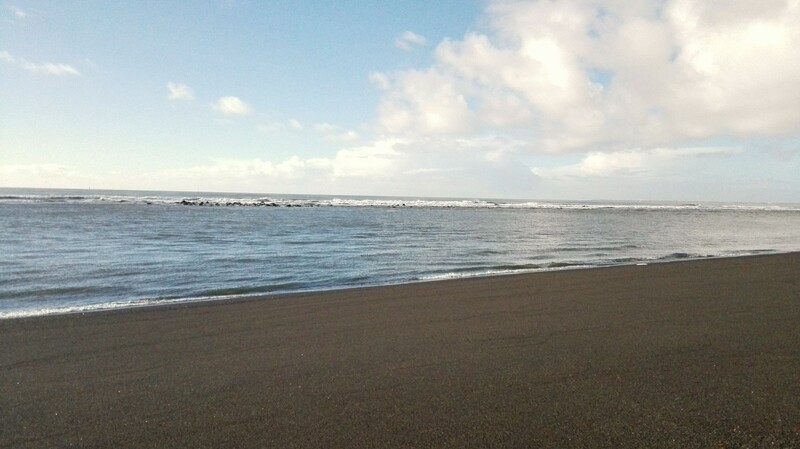 We then continued further towards the south coast, where we made another stop at a beautiful piece of a black sand beach. Usually, the ocean on the south coast is quite rough with dangerous waves able to drag you into the ocean without warning. However, the waves crashed somewhat further away from the shore, where you could just make out a line of rocks, which made the beach rather calm. Though, we could see many traces of how far the waves had gone in the storms that we had had during the weekend, with driftwood going as far as to the main road. After this lovely visit to the beach, we continued to a small fishing village, called Eyrarbakki. Gummi drove around while telling us interesting stories about many of the buildings we were passing by. Soon after, we were already in Stokkseyri, where we visited the “Puridarbud” – fisherman’s hut – which was built in memory of Thuridur Einarsdottir, a female fishing-boat captain. Unfortunately, the door seemed to be locked so we had to simply at it from the outside, though there was a window through which we could look inside. One very short coffee break later and we continued along the south coast for a while longer, before driving towards the highlands. 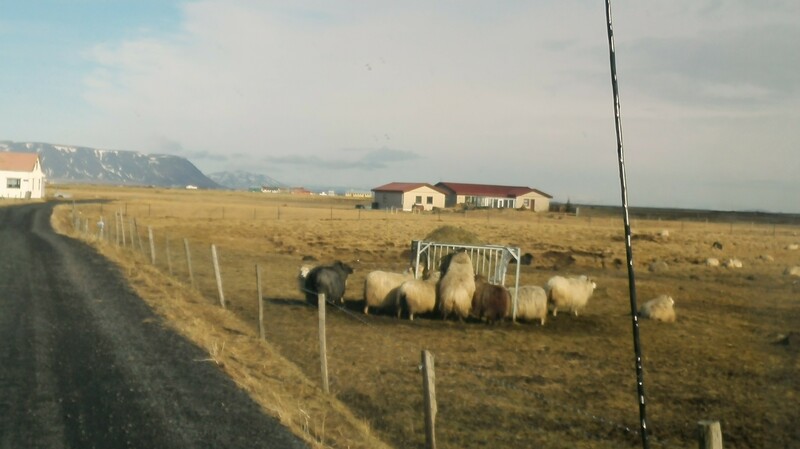 Along the way, we stopped to admire the sheep, by request from one of the people in the group. We drove for some time while enjoying the landscape and Gummi’s stories. 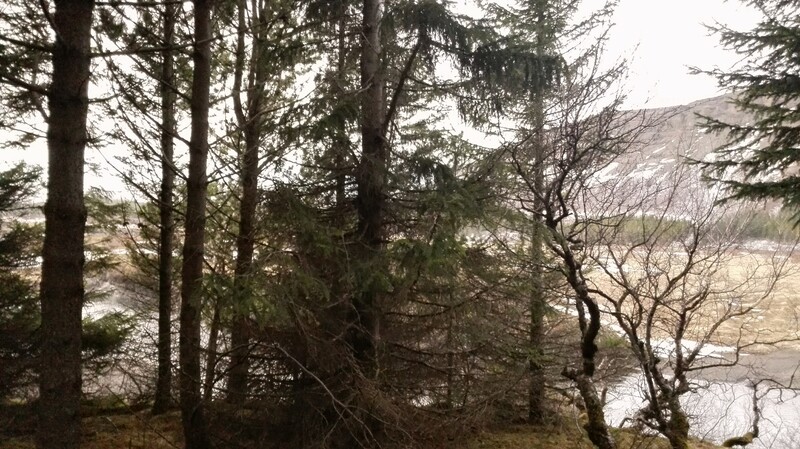 Shortly after, we came across a lovely Icelandic forest. 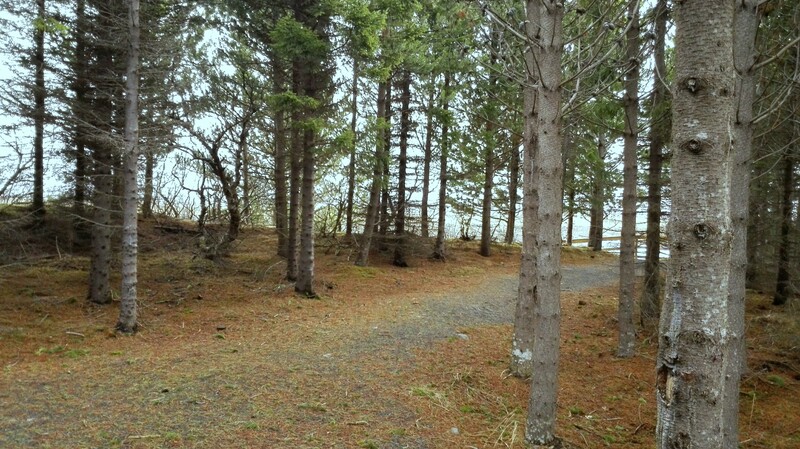 Now, every forest in Iceland, I had seen so far, was not that impressive in size. But this came quite close to what could be called a decent forest. We took a little walk on the neatly kept path through the forest, and turned around after walking for a little bit, all the while sniffing the wonderful forest air. After this short walk, we were ready to get back on the bus and continue our way. 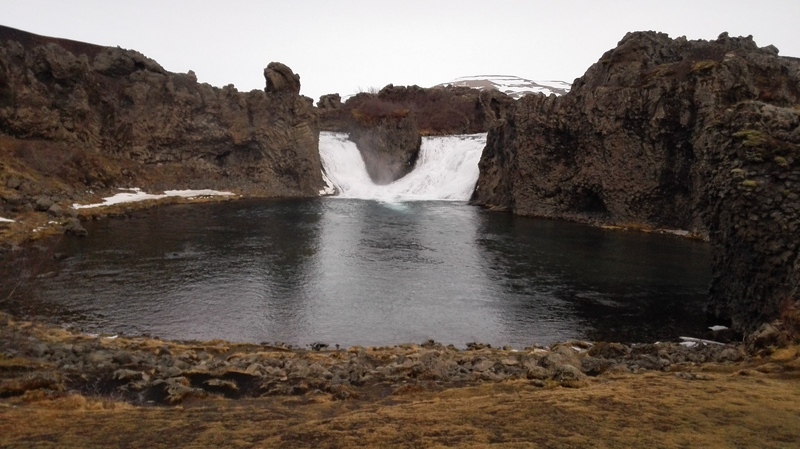 The next stop would be the Hjálparfoss waterfall, the name of this waterfall means the “helping falls”. The land here is quite rough for traveling and the Lush Hjálp area seems great for resting and letting the horses graze – the perfect help during travels. While looking at the waterfalls from a distance Gummi tells us that, if you use your imagination, you can see an elephant, a lion and a chipmunk in the rocks right by the waterfall. Sadly, I only managed to find the elephant, no chipmunk or lion to be found. After this, we visited Stöng – an old Viking farmhouse. Although about the size of a house for a small family, Gummi told us a farmhouse this size was usually the home of 80 persons at a time! We can only imagine how cramped it must have been. While walking around the house, we could perfectly see its building structure, which was interesting to see. Then we drove to the mountain pass. It took us quite some time to drive there, but Gummi kept us entertained all the way. We were getting an increasingly clearer view of Hekla, herself. When we arrived at the Hekla Museum, we were welcomed by shut door. But Gummi made a call and it was opened and running within minutes. The exhibition was very interesting, with a lot of facts and figures put together with videos from the area and of the latest eruptions. 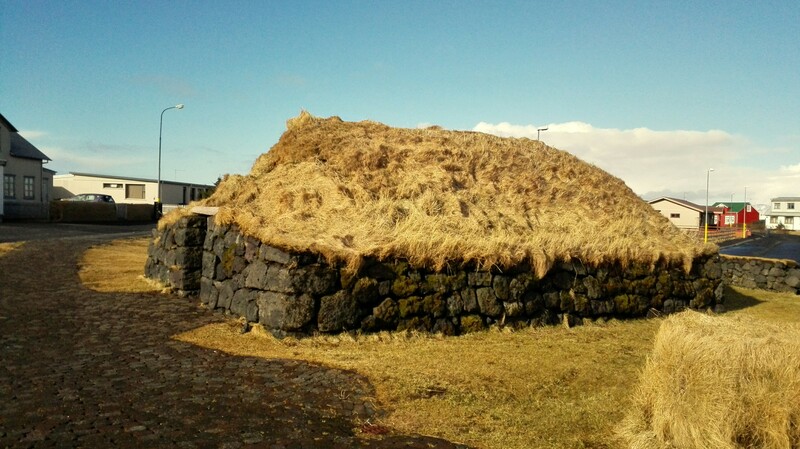 The museum was built using lava stone and ash, which makes its exterior quite interesting. 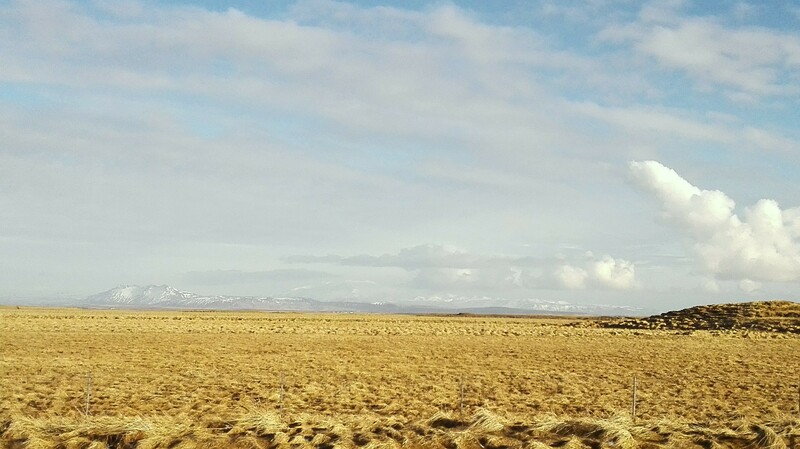 Also, from the museum, you have a wonderful view of Hekla, which was not completely covered in clouds by now. 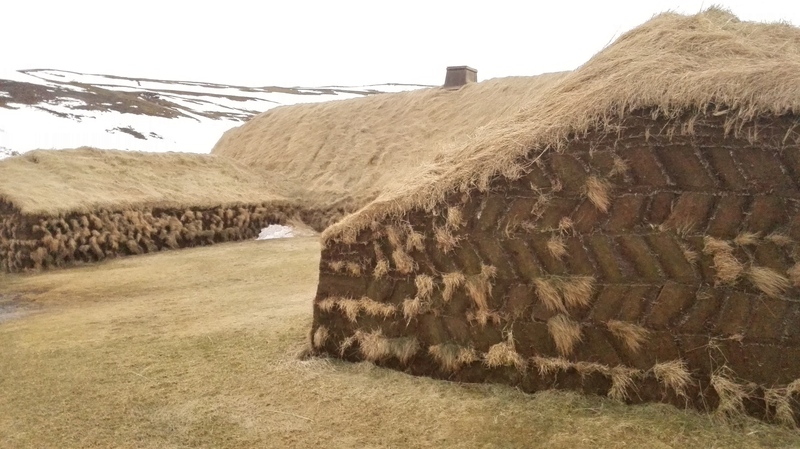 The visit to the Hekla Museum concluded today’s tour. As we were driving back towards the main road, we could just start to make out the Eyjafjallajökull, coming out from underneath the clouds. Gummi stopped to let us get some pictures of this notorious volcano, before continuing our way back to Reykjavik. This was a wonderful tour – the amazing weather, Gummi’s countless stories, and the enjoyable company of today’s group made it unforgettable. You would have to look closely, but if you do you can make out a white shadow behind the mountain you see here, this shadow is Eyjafjallajökull.